I am usually not the daredevil type but years ago when I learned about indoor skydiving, I knew it was something I wanted to try. It was not until recently that they opened a location nearby so I was able to try it out. 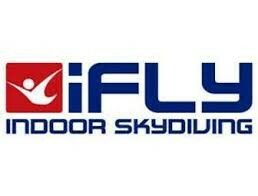 The location was part of iFLY which now has many locations around the US and around the world. We booked our appointment a couple weeks in advance since it is very popular and the openings tend to fill up fast. The website is well organized and you can book your time online and fill out the waiver without having to print anything out. The website is also very informative and gives you a good understanding of what to expect when you get there. When we arrived, there was some confusion on the scheduled fight time, but they were accommodating and able to fit us in at the time we scheduled. After we checked in, we went up to see the wind tunnel. It was very impressive! You get a preview of what it will be like as other groups are in the tunnel taking turns flying. I was surprised how far down and how high up the tunnel actually goes. There is a strong net at the ground level, but the tunnel goes down much further. I started getting a little nervous especially seeing how high some of the other people were going! After watching the other groups for a while, it was time for the training session. For this we watched a quick video that explained the basics and what to expect during the experience. We met our instructor who gave us some more tips and signals that will be used in the wind tunnel. Next we went to get our suits, helmets, goggles, and ear plugs. It was pretty easy. The first suit and helmet they gave me fit perfectly. They also had lockers there to put your stuff since they do not recommend carrying anything in pockets. Next it was time for our group to go to the wind tunnel! We filed in one by one in the waiting section which is around the outside of the main tunnel. Each person in our group went in with the instructor for about 1 minute of flight. The instructor is there to help stabilize you and keep you level and center. I was a little nervous but at the same time, there was not much to be nervous about because there is not much you have to do. You just have to put yourself out there and try to stay in the flight position. When it was my turn, I just went for it. It was about as windy as expected. It was also a little noisy, but the ear plugs and helmet definitely help with that. In flight, it is pretty intense! I remember thinking, I have no idea if I am doing a good job or not. At first I was a bit unstable but soon you are able to get the hang of it and it becomes more smooth. After a minute, the instructor leads you to the exit door so you can pull yourself back to the waiting area. They give a 2nd turn to fly and in the 2nd one, we got to go up much higher with the instructor. In the first one you are about 5 feet off the ground but in the 2nd flight, they take you up about 40 feet in the air! I was not too keen on this idea, but everyone in the group was doing it, so I figured I would just try it. Going up high was a lot of fun and I am glad I did it! At the end, our instructor went into the tunnel and put on a show with some amazing moves and flight control. He was a good instructor and made us feel comfortable during the whole experience. One more thing that is nice about iFLY is they take video and pictures of each session so you will have a chance to see how well you did in the pictures and videos afterward. It does cost extra, but it is definitely worth it to see the results! If there is anything that could be improved, I was thinking some group stretching exercises or a bit more practicing of the flight position before getting into the tunnel would be helpful. Also for my flight, when I went up high with the instructor, we spun around very fast which made it dizzy and kind of hard to focus. Other than that, it was a great experience and I would recommend trying it out at least once if you think it is something you would like to do. ShareASale is a an affiliate marketing company that works with many businesses to help them with promotions and sales. Anyone can sign up to be an affiliate and choose from many companies to work with. A while back, I had a company in mind that I wanted to partner with and they used ShareASale for their affiliate program so I decided to apply. It was not easy to get accepted to the program. I was actually turned down the first couple times but I kept working and on the 3rd application, I got accepted! The overall layout of the ShareASale website I have always found to be a bit outdated. There are many buttons and features that are not very useful while features that are needed on a daily basis are not very easy to find. It takes a while to figure out where everything is, but once you get the hang of it, it is pretty straight forward. Once you have been accepted to one of the programs, you will be able to get links to help promote certain products. For example, you may put them on your website and if customers order a product through your link, you get a percentage of the sale. The process of getting links is ok, but can be cumbersome as the search feature does not always include information like item numbers. Also I have found the catalog for new items often takes 24hours or more to update with new products which can be frustrating when you are trying to promote new products. ShareASale does offer tracking statistics so you can see your traffic and sales. After your sales have been approved, you will be paid by direct deposit. Payments are once a month as long as you have met a minimum payout amount. After having worked with ShareASale for about a year, I have mixed feelings on it. It can depend a lot on which merchants you are working for in the program. The one I have worked for has not been very good with communication. In the beginning I had several unanswered emails, however the communication has improved as of late. Also I have found many of my sales overturned each month with little reason to support these action. I have worked with other affiliate programs and partners who I have had better experience with in terms of communication and transparency with sales. When it comes to affiliate marketing, there are not many options as you pretty much have to go with the network that is hosting the partner you wish to work with. I have found the best options are usually affiliate programs that are independent and do not have to go through a 3rd party or network. If you are looking to become an affiliate marketer, I recommend first finding companies you like or know a lot about and then see if they have a program like this. Most online stores and businesses will have some kind of affiliate program like this available to join. Good luck and feel free to leave any comments or questions below on ShareASale or affiliate marketing. 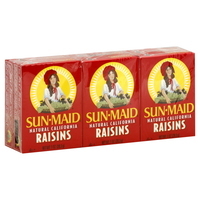 Growing up I remember we would have Sun-Maid raisins in the house and I remember never really liking them very much. Because of this, many years went by where I did not eat raisins. As an adult, I decided to get back into raisins due to the fact that they are convenient, cheap, and a good way to get a serving of fruit. I started trying out a few brands, mostly store brands from a few of the local stores. 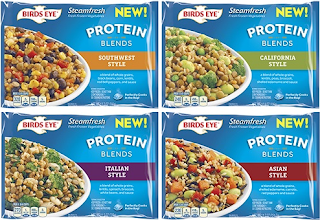 Overall the tastes were ok and pretty similar between brands. Then one day I got the store brand raisins from Peapod and I was shocked at how fresh they were! Unlike most of the other brands these were moist and juicy and not dry at all. They were actually delicious as opposed to just so-so like most raisins. After seeing the potential at how good raisins can actually be, I decided to give a popular name brand another try just to see if they were better. I got the Sun-Maid raisins in the 6 pack. Upon trying them out, they were kind of a disappointment. They actually seemed more dry than most of the store brand raisins. I do most of my grocery shopping at local stores so I have only ordered that one time from Peapod. Consequently, I have not been able to find another brand of raisin matching the freshness of the Peapod store brand. Just today I went to look them up again to try to get some more information and it seems they were not available or just not in stock anymore. It is a shame because they were really good! Are there any other brands out there with fresh raisins?